‘Unless you are fond of hollering you don’t make great conversations on a running cycle. Instead you spend your time being aware of things and meditating on them. On sights and sounds, on the mood of the weather and things remembered, on the machine and the countryside you’re in, thinking about things at great leisure and length without being hurried and without feeling that you are losing time.’ (p 17) The gentle voice is incredibly familiar, heard now for the third time, a voice that seems to have got itself into my deepest being. Not that I came to the book very quickly. I never do. It had all the hallmarks of a fashion, way back in the early seventies when people used to talk about it. Zen – motorcycles – ugh. All far too flower-powery for me. But I’ve made up for it since. I can’t remember who persuaded me to try it, but when I eventually did I understood enough of it to want to read it again. Very carefully. In fact I highlighted great chunks of it the second time, in a rather ugly, green highlighter, and then lent the copy to somebody and never saw it again. Which is just as well, I don’t think highlighter is the way to summarise an odyssey, to capture the sound of that motorcycle in the empty vastness of minor-road prairie America, or the voice of Pirsig as he quietly unfolds the many purposes of his wonderful book. His sensing of that coming storm (the returning ghost) long before the first thin line of cloud is visible on the far horizon. Long before his son, Chris, close behind him on the bike but terribly distant, senses it, or their travelling companions John and Sylvia do, up the road ahead on their expensive BMW. Of whose surface they are so proud, but of whose inner workings they have no understanding at all. The first time you read the book it takes you (at least it took me) practically the whole of it to be sure that the extraneous third person he calls Phaedrus, whom he shares with us but with no one in the book (except, gradually, with Chris) is in fact himself. One track of his Odyssey is this agonised rediscovery of the part of his mind which, before his breakdown and his ablative ECT therapy, used to be a brilliant, radical professor of rhetoric, IQ 170, obsessed with the meaning of Quality. By which he meant the Good. By which he meant the God. By which he meant the Buddha. By which he meant the Tao. 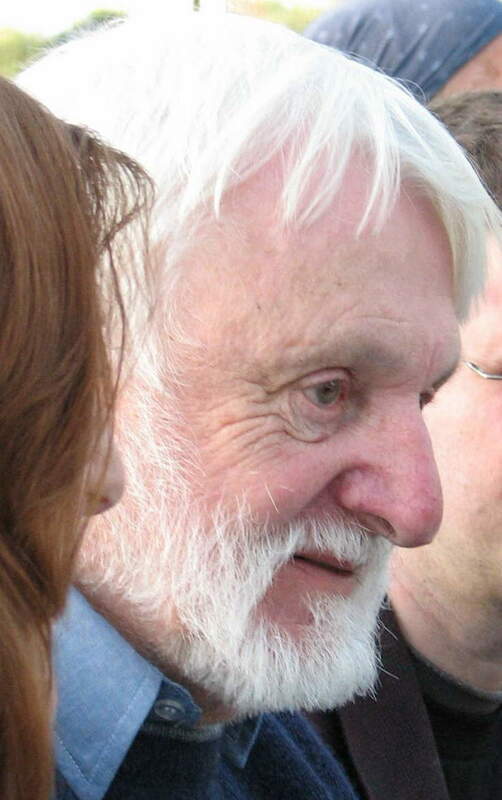 The tragedy is that Pirsig wrote his book in the seventies believing, and rightly, that Phaedrus’ ideas would fall on more receptive minds than they had in the fifties when their author first tried to propound them. He expected this trend towards enlightenment would continue, but of course we know that it hasn’t. In the seventies it would have been thought madness to suggest that medical practice could be defined by rigid rules. Today it is our tragedy to live at a time when this bizarre idea is the orthodoxy, held with frightening certainty by those on high, and it is to think otherwise that is now thought mad, and those who do so are rejected as completely as Phaedrus ever was. Of course, the beauty of the book is its balance, caught so neatly in its famous title. The art of motorcycle maintenance. What could be more technical than a motorcycle? If there is art here, surely it must be everywhere! Q, as they say, E.D. In just the same way he obviously knows what he is doing when he hikes into the mountains with his son. He had spent a lot of time hiking in the mountains in his former self. To Chris’ disgust he ducks the summit this time, partly because of increasing rock-falls but partly because he has reached a peak in his own mind, which is what he really set out to achieve. But as they descend, far from any track, a step at a time, hacking through dense woods with a machete, we have no doubt he is going to find his way back to the road. Chris likes ghost stories and his father says he can’t remember any, ‘Go to sleep’. But he knows really he is writing about ghosts; this ghost of his former self; the ghosts of the Sophists philosophers; the ghost in the machine, that perhaps most of all. And he is writing about journeys; this journey across half of America, which I have on this third reading marked with trail of ‘push-pins’ on my Encarta Atlas (at last finding something the computer map does well); then this journey of discovery of his former self, then this journey in his relationship with his son; then this journey towards greater understanding of reality – which is the mysterious purpose of our lives. The scene which from my first reading always seemed the centre of the book comes surprisingly near the end (pages 359-60 of my 416 page edition). It is the one where a taciturn and monosyllabic mechanic in Grants Pass, Oregon, barely 70 miles from the Pacific coast, performs what seemed to be an impossible welding job on a torn metal chain-guard after a replacement had been found to be unobtainable. The description of that lone man’s exquisite and totally unselfconscious artistry is beautifully done and impossible to render out of context. You need to have travelled those weary roads. ‘Can I have a motorcycle when I get old enough?’, says Chris, on the penultimate page. 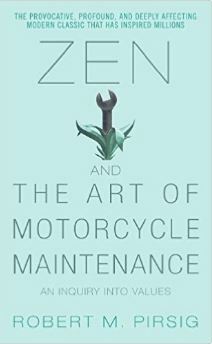 Pirsig convinces, utterly, that in motorcycle maintenance, of all superbly-chosen examples, the art is more fundamental than the science. It’s having the right attitudes that matters. So, we must ask ourselves, how much more must this apply to medicine! How could we ever have been so blind as to think otherwise! Perhaps our greatest contemporary folly has been to forget to work on those attitudes. Perhaps a journal of medical humanities is a big step in the right direction. I certainly hope so. He did see a ghost; Phaedrus has arrived in the story.